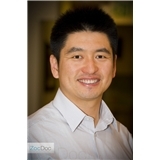 Zhuoran Zhao, DDS, PhD (Sunnyvale) - Book Appointment Online! Our mission is to provide a lifetime of oral health and wellness for you, your family and friends. We are true believers that preventive care and education are the keys to optimal oral health. That is why we would like to spend enough time with each patient so that we can share our knowledge with you in a very conducive and comfortable environment. We are devoted to restoring and enhancing the natural beauty of your smile using conservative, state-of-the-art procedures to achieve your optimal dental health. Should a dental emergency occur, we make every effort to see and care for you as soon as possible. Building a foundation of trust by treating our patients as special individuals is vital to our success. Our entire team is dedicated to providing you with excellent, personalized care and service to make your visits as comfortable and pleasant as possible.